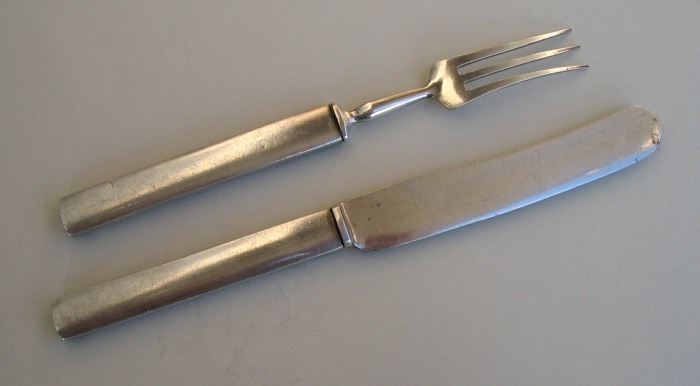 silver knife (3) and fork - Japan or China? 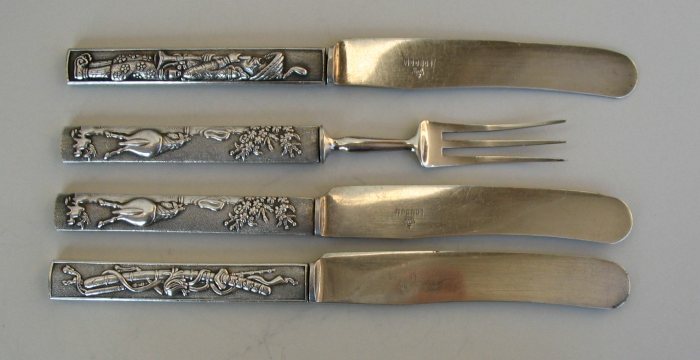 these knives (3) and fork have silver handles embossed with Japanese or Chinese motifs. They are marked CROWN over 'LONDON' on the knives' blade. The knives are 8 1/2 in. long (cm. 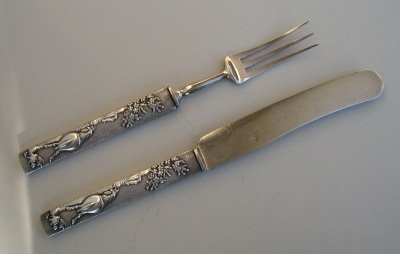 21,5), the fork is 7 1/2 in. long (cm. 19,5). 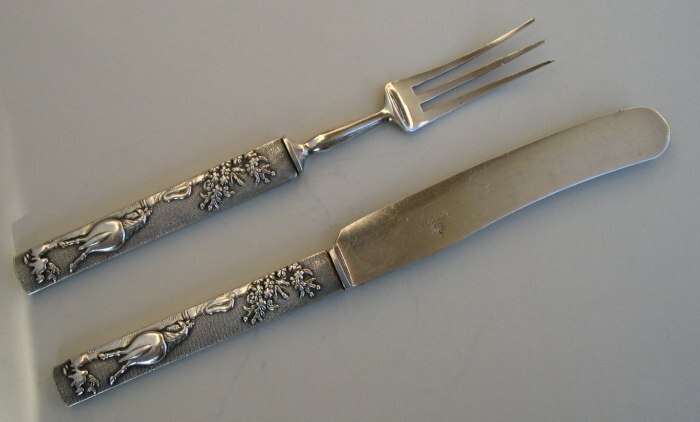 This silver flatware was bought from an Italian dealer in an Antique Market.